This sign is located at N41 41.642 W80 57.001. 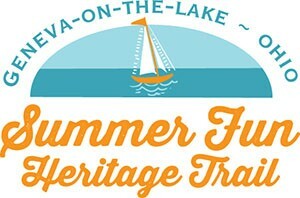 On July 4, 1869, Cullen Spencer, son of a Geneva Township settler, and Cullen’s friend, Edwin Pratt, opened a lakefront, public picnic ground in the area of what is now Mapleton Beach. 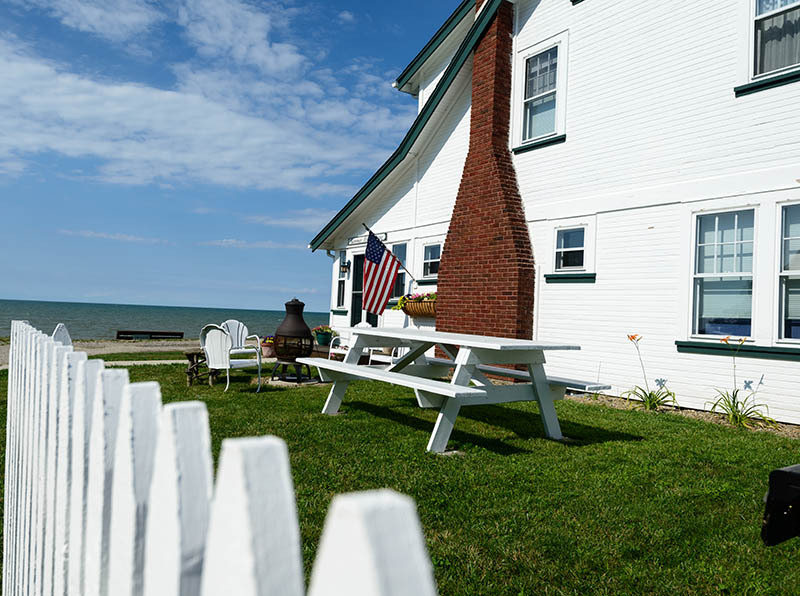 Cool breezes, sandy beaches and huge trees made this area an ideal summer resort for affluent Cleveland families. Boarding houses, inns and cottages were constructed to cater to the guests’ needs. 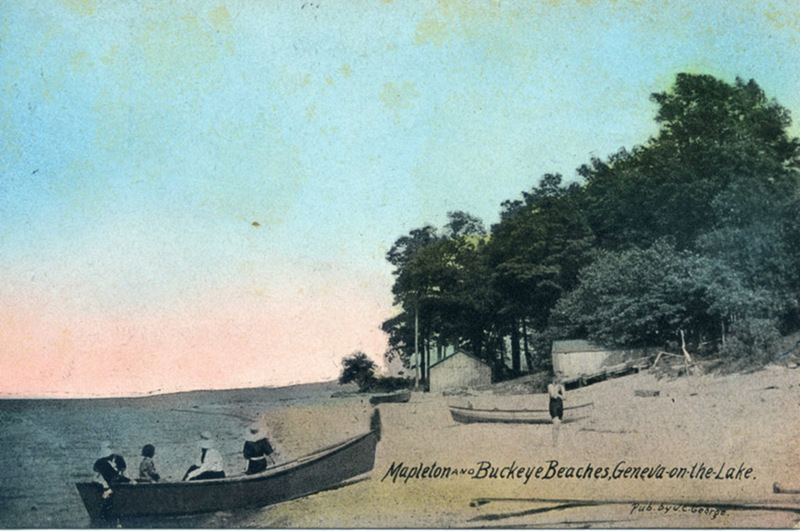 Known as Mapleton Beach today, Sturgeon Point still “sticks out” into Lake Erie as it did in 1869, but the original picnic grounds have long succumbed to erosion. This point got its name from the schools of lake sturgeon that swam on the waters near the point. Harvey Spencer, an early settler, used his flat-bottomed boat to fish for lake sturgeon, a prehistoric-looking creature that could weigh up to 200 pounds. Most commercial fishermen despised sturgeon and routinely discarded them until the public developed a voracious appetite for the fish in the late 19th century. 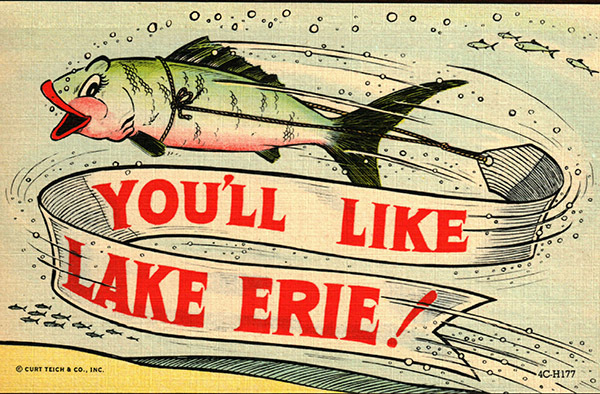 In one year alone, more than 5 million pounds of sturgeon were harvested from Lake Erie. Sturgeon were overfished and the fishery was decimated by 1906. A cottage at Mapleton Beach, where Geneva-on-the-Lake got its start as a resort town in 1869. Sturgeon Point ought not be confused with the condo development of the same name to the west. The original Sturgeon Point remains the home of many cottages. The private drives in this section of The Strip end at the overlook that juts out into the lake.